Our mobile website is specifically designed for smartphones so that you can get quick and easy access to valuable information such as our contact information, claim phone numbers, roadside assistance, and what to do if you're involved in an accident. We recommend bookmarking m.tncinsurance.com on your mobile phone so the information will be at your fingertips when and where you need it. What can I find on TNC Mobile? To visit TNC Mobile, simply go to m.tncinsurance.com using your smart phone. 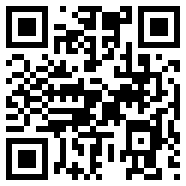 For quick access, scan the QR code below.